Coming off a shutout loss yesterday, the offense didn’t fare much better against Johnny Cueto and the Giants today. 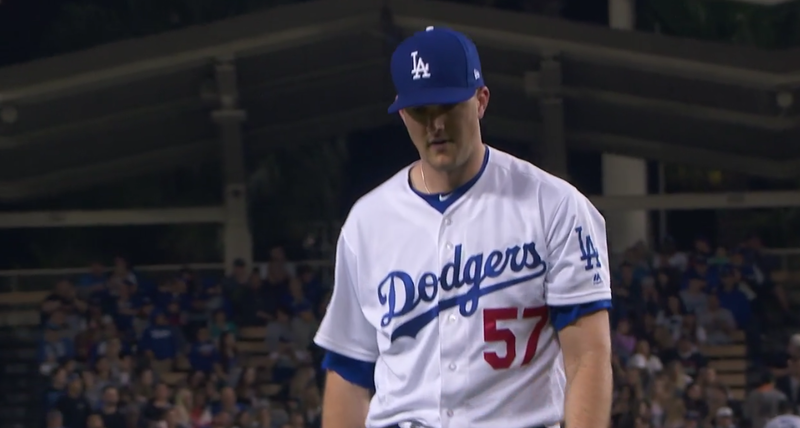 Fortunately, Alex Wood had a stellar outing and looked every bit of the #2 starter the Dodgers want him to be. In the end it didn’t even matter, though, as the Dodgers ended up dropping the game by an identical 1-0 score. Offensively, there wasn’t a whole lot to say through six innings, as Cueto had a perfect game going and the Dodgers bats looked … flaccid. A Chris Taylor bloop single in the seventh broke that up, but didn’t lead to the Dodgers actually, you know, scoring. The Dodgers finished the game with just one hit and sent up the minimum 27, and it wasn’t like they were unlucky or anything, they just didn’t hit the ball hard at all. Wood kept the Dodgers in the game by throwing up a gem of his own, getting through four with a no-hitter that would’ve been a perfect game if not for a Logan Forsythe error. Speaking of, the Dodgers defense certainly didn’t help matters, as Forsythe committed three errors at third and Corey Seager contributed one of his own. The only hit against him on the night came in the fifth inning in the form of the infield dribbler that Seager couldn’t make the play on. Wood ended his night with eight shutout frames in just 90 pitches, walking none and striking out five. That brought on Kenley Jansen in the ninth, which is usually automatic, but Joe Panik once again hit a solo homer to give the Giants the lead and the win. Kenley Jansen picked a guy off, I guess. That was Kenley Jansen's first career pickoff in 478 career innings pitched. 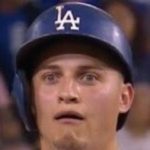 The Dodgers are now 0-2 and technically the worst team in baseball. Kenta Maeda squares off against Derek Holland tomorrow as the Dodgers look to get their first win of 2018.